Drava: 1974 – 1975 – John Zemlič, Frank Prosenik, Ciril Čampelj, Helen Čampelj, Drago Prosenik, John Škofic. They were coached by Frank Hartman. 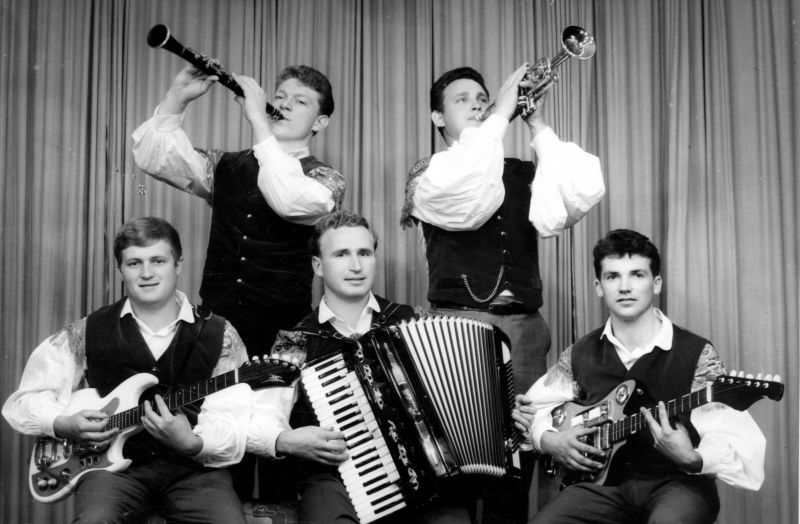 Most of them became Planinka in 1976. There were various guitarists including John Hartman. It appears that the following people began to play under the name Drava: Rudi Kalister, Oto Verdenik, Mario Svetina, John Zemlič 1977 – 1982. Drava received an Award on the television show New Faces. 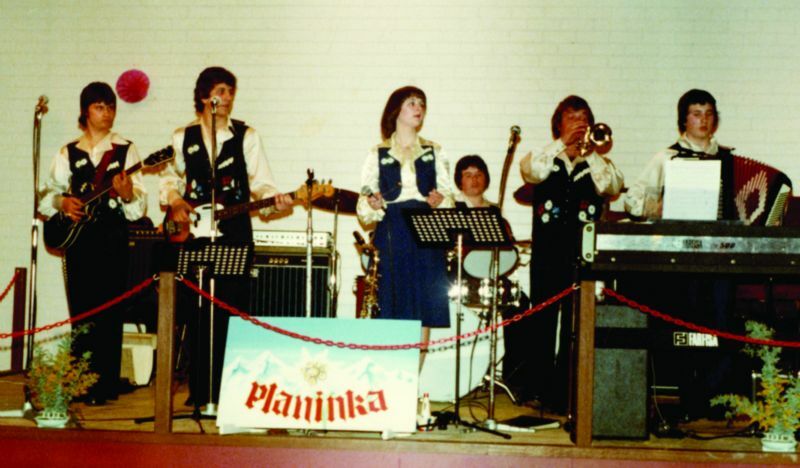 Planinka: 1975 – 1986 or 87 – Frank Prosenik, Ciril Čampelj, Helen Čampelj, John Škofic, Drago Prosenik. There were various guitarists including John Hartmann. Sava began when a mutual friend introduced Anna Mandelj, Maria Mandelj, Lily Prosen, Sharon Bolton and Aurelia Rupanovič, to start an all-girl band. 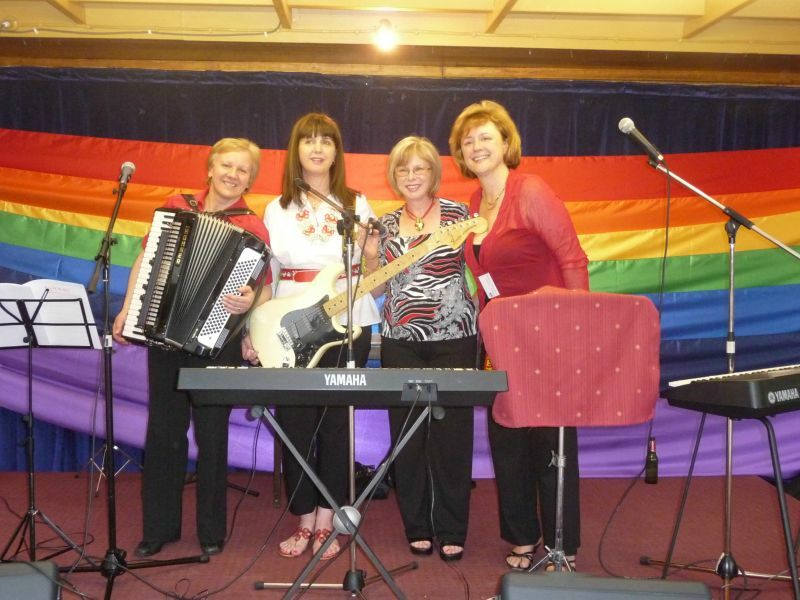 Anna was the singer, Maria played rhythm guitar, Lily played the piano accordion, Sharon played bass guitar and Aurelia played the drums. 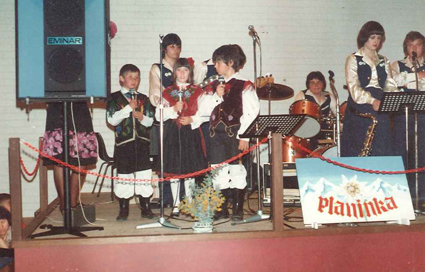 The first appearance was at the Slovenian Youth Concert held in Sydney 1976. The music played was classed as continental. We played Slovenian, German, English and Italian songs. Late 1976, a new drummer Alex Razboršek joined. The first-ever booking was at the Slovenian Club in Geelong for New Years Eve 1976. During early 1977, Sharon left and was replaced by Lorraine Prosen on bass. 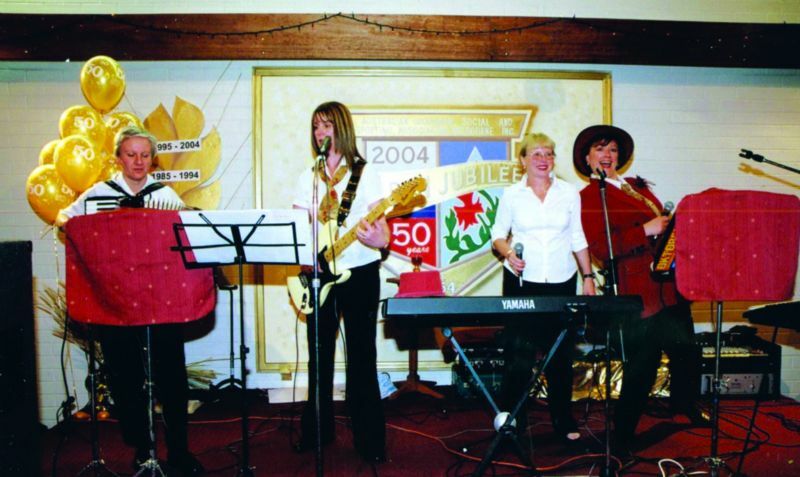 The band played at various clubs throughout Melbourne, Geelong, Albury and Canberra. The venues consisted of Slovenian, German, Austrian and Dutch clubs, as well as weddings, engagements and 21sts. 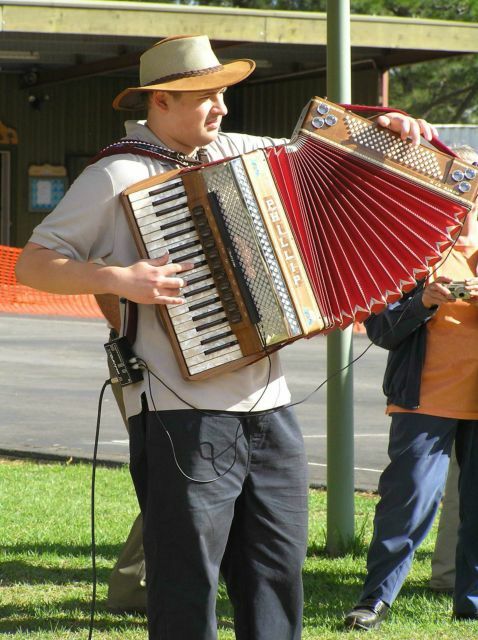 Each year they played at the Melbourne Oktoberfest for the German Club Tivoli (held over a 3 day period), initially held at the Dandenong Showgrounds, then later at the Melbourne Showgrounds. In 1978 Sava visited Slovenia for a holiday and played at the Izseljenski piknik – Migrant Picnic, which was held at Škofja Loka. When the band reformed, Maria was replaced by Robert Everest. 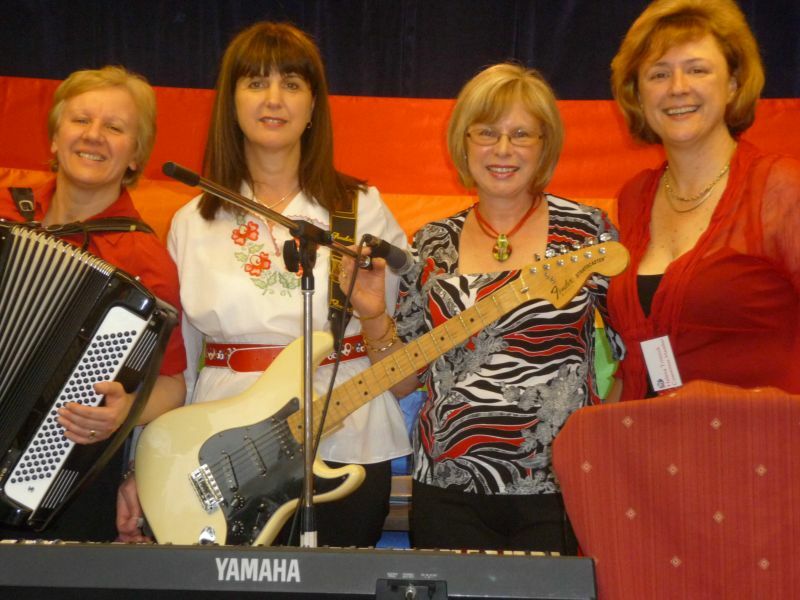 The band consists of Maria Hervatin on rhythm guitar, Anna Tegelj and Helen Trinnick as singers and Lily Conlan on the accordion. Originally the band was called ‘The Young Mums’ for the first few years. 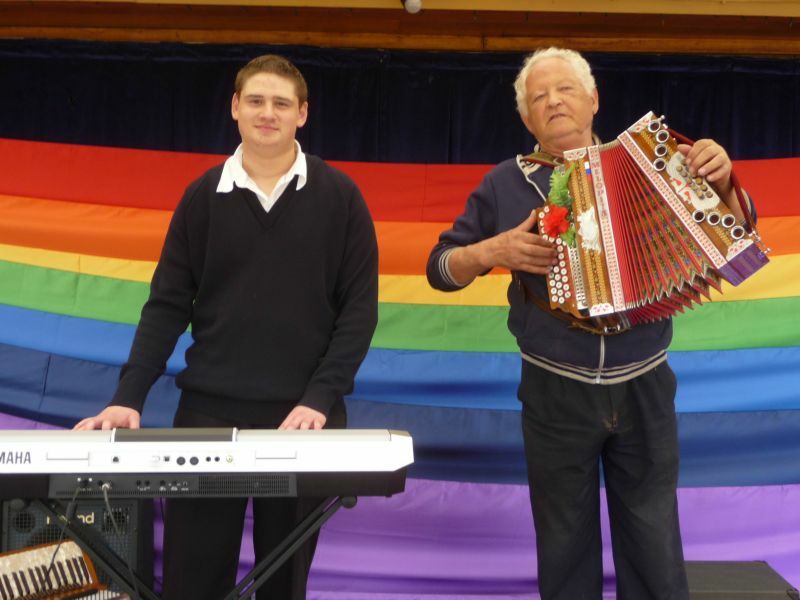 They began playing together firstly just as a fill in for the Slovenian School concerts which were held at the Slovenian Association Melbourne (in Research). 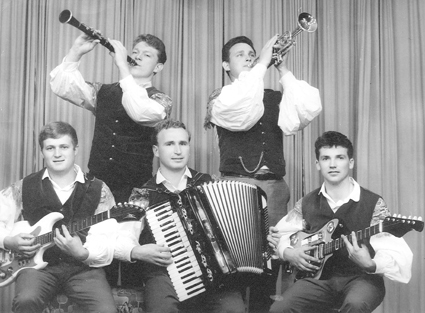 They were asked to play for various functions playing a variety of music – Slovenian, English, German, Italian. 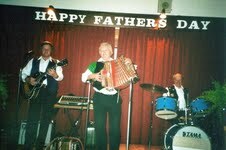 Viktor played with the SDM folk ldancing group from the late 70s to 1995. This group also danced at the Eltham Festival in 1984. Viktor has been living on the SDM site since 1976. He performed a few numbers with bands during dances as a feature artist and played in the SDM courtyard during band breaks at dances. 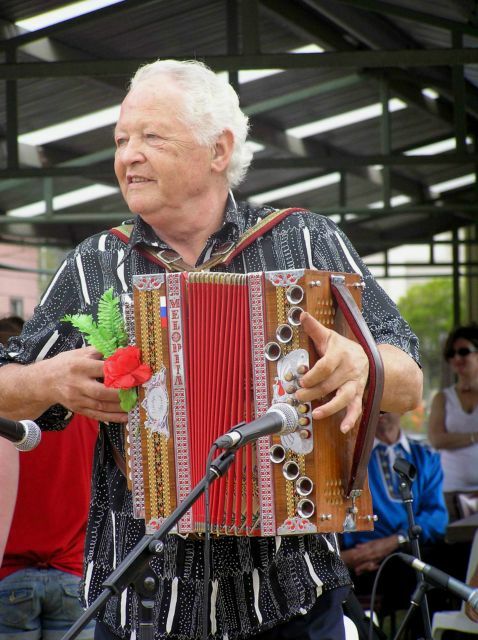 He had a Button Accordion Club which had nine members of Slovenian, Dutch and Austrian descent 1990-1993. They set up a PA and practised on stage, and had discussions about playing techniques. Their wives also attended and they came from all around Melbourne. Since 2007, Viktor joined in with Philip Nadvesnik when he started playing for functions at SDM. Slovenian Association Melbourne hires out their premises to a local playgroup and Viktor sometimes is asked to play for the children and parents there.